Exactly? 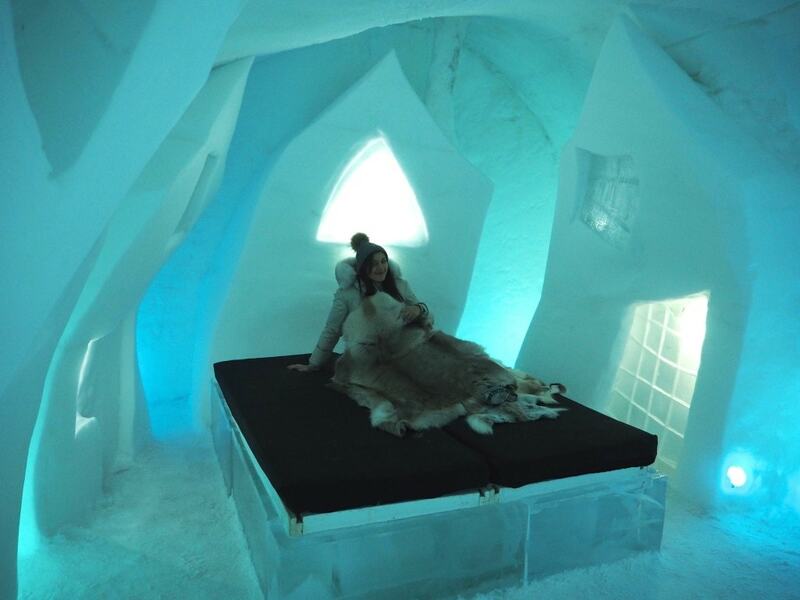 Situated 200 kilometres north of the Arctic Circle, in the Swedish uplands lies the original Ice Hotel in Kiruna. 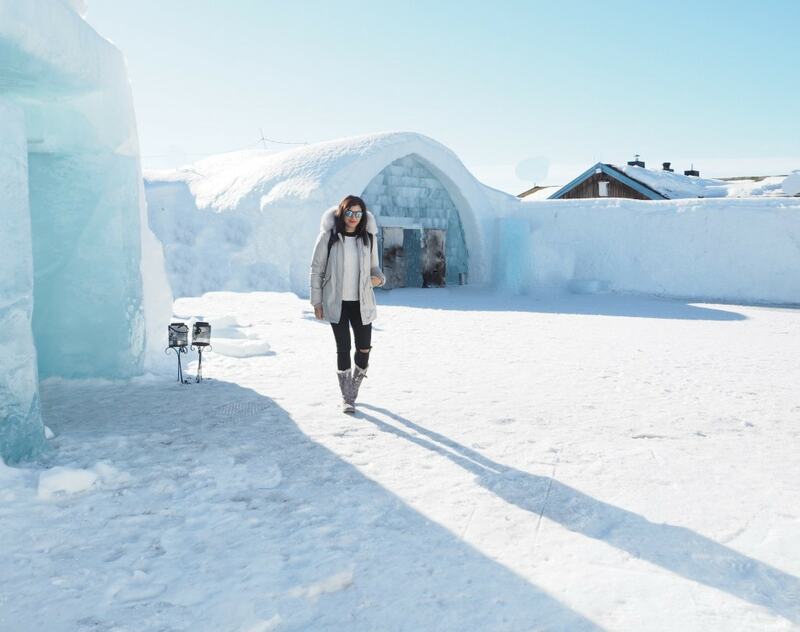 Every year the architects use 30,000 cubic metres of snice (snow and ice), plus 1000 tonnes of ice, made into gigantic ice blocks to create the iconic structure. Come summer the hotel then melts back into the adjacent River Torne. To celebrate it’s 25th anniversary, this year the hotel is being built to last the whole 12 months and bypass the melting ceremony, it’ll be run on solar power. Why? 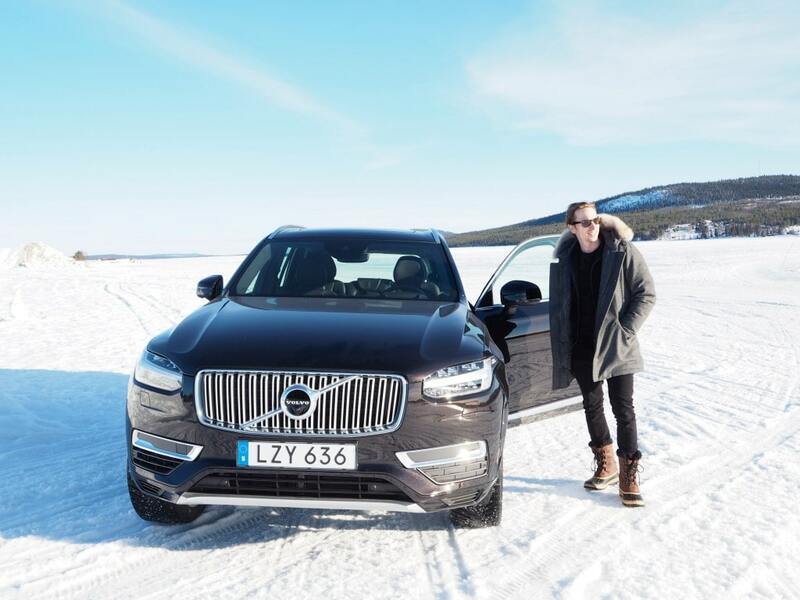 I was lucky enough to be invited out to the Ice Hotel by Swedish Car Brand Volvo, to test drive the powerful XC90 4×4 Hybrid car. Not only did we try out the car in a nifty bit of off roading, over the frozen wilderness, but also managed to fit in one night sleeping in an ice room, an evening skidoo ride, dog sledding and we saw the elusive northern lights. 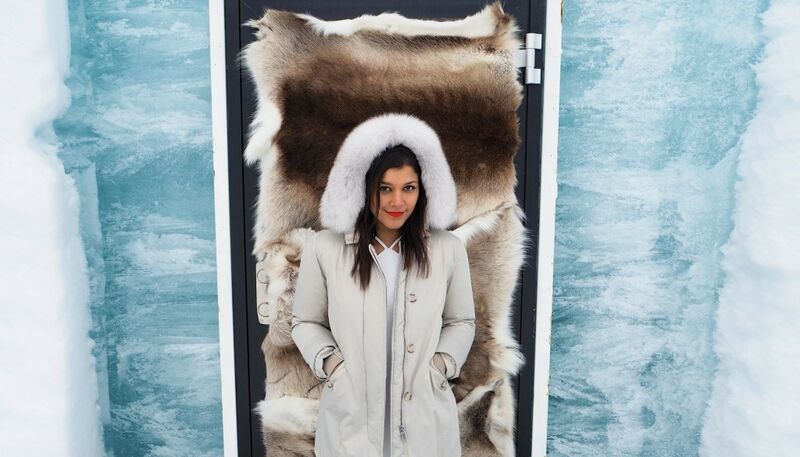 Keep scrolling to see The Style Traveller photo diary from the Ice Hotel. 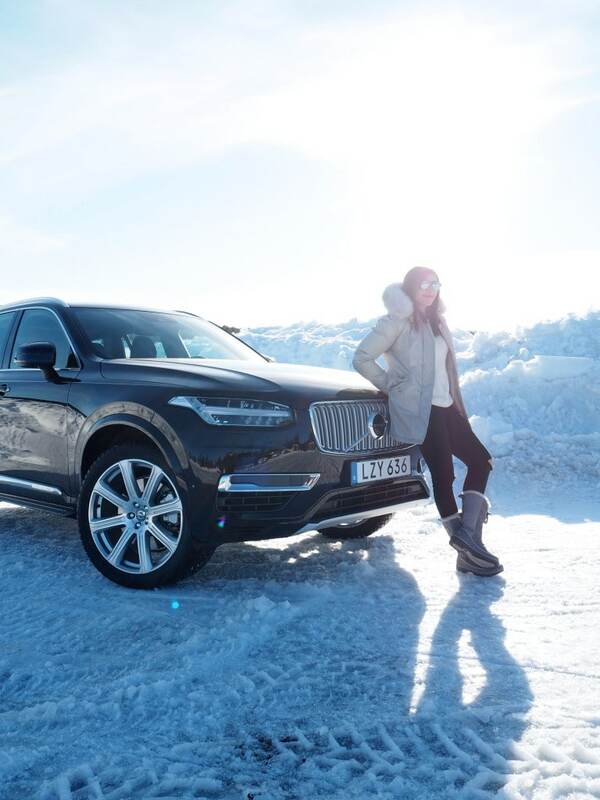 Above: Bonnie takes the Volvo XC90 out for a bit of spin, off roading on the snow. and Sunglasses by Westward Leaning. Opening shot Bonnie in the Ice Hotel corridors in white Ted Baker dress. 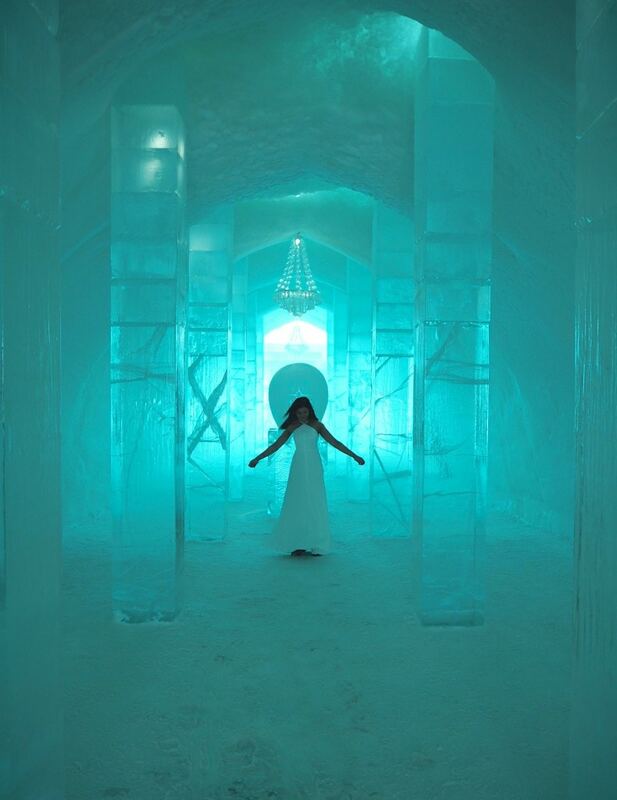 Artists from all over the world are invited to submit interior designs for each of the suites at The Ice Hotel. Above is the Oriental suite and below is the deluxe suite. And yes you do have to sleep on a bed of ice. 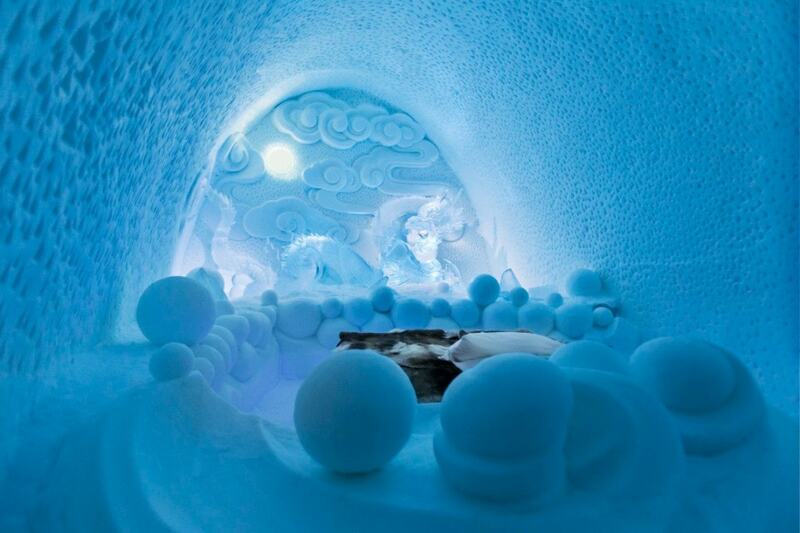 The rooms aren’t made to spend time in, it’s minus 5 degrees Celsius inside, you only really use them to sleep. 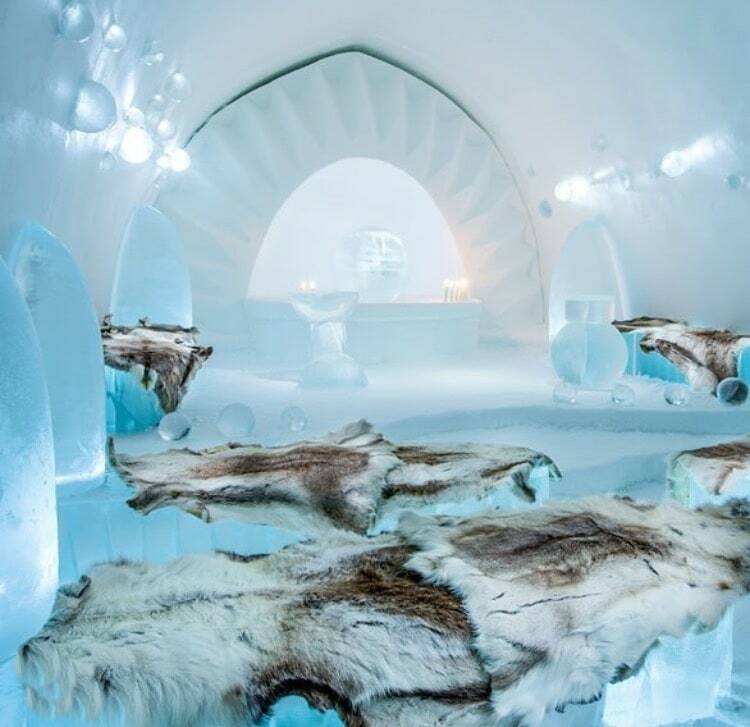 The hotel lays deer skin rugs on the ice which provides a protective, insulation layer between you and the ice, as well as specialist sleeping bags to help keep you warm in the sub zero temperatures. Believe it or not it’s actually quite warm at night, I managed to get a good nights sleep. Pictured above the Ice church where the hotel the hotel holds wedding ceremonies for up to 40 guests. 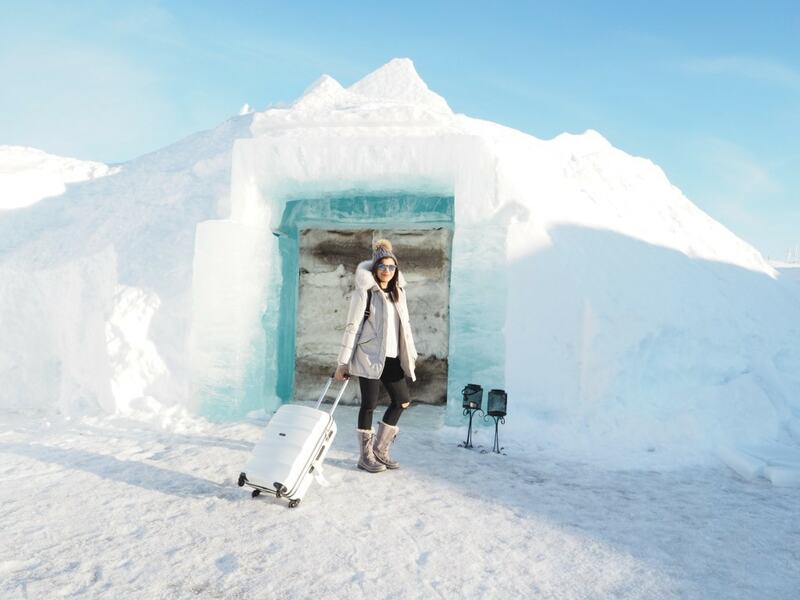 Above: Bonnie checking in at The Ice Hotel. Suit case from American Tourister clothing credits as above. 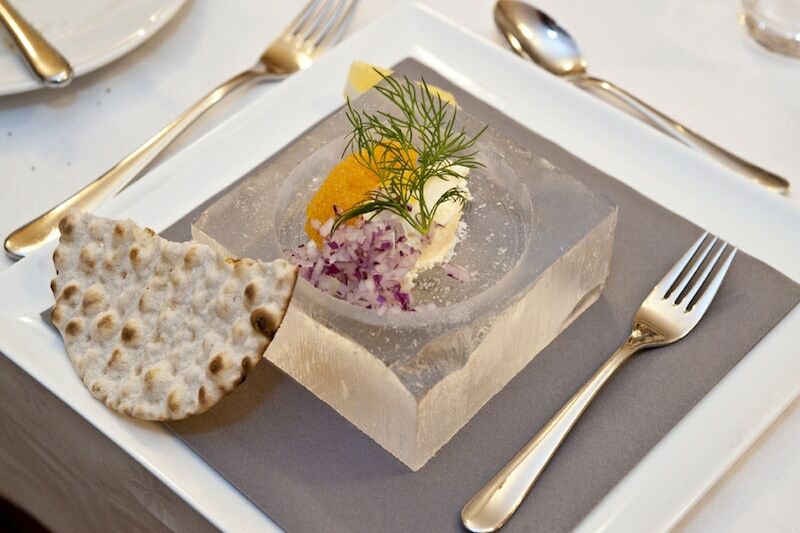 We were invited to a have dinner at the Ice Restaurant and try out the special four course Ice Menu, where all the courses are served to you on, you guessed it, ice plates. Pictured below is the delicate black roe and waffle starter. Which was followed by Froyalax salmon with soy and wasabi and the curious sounding, yet delicious main course of reindeer with chocolate sauce! 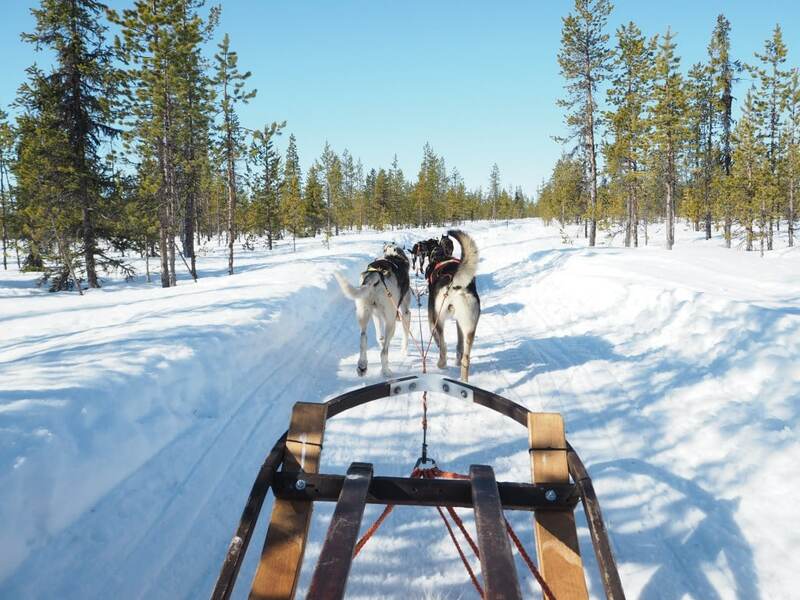 We had a jam packed itinerary of exciting activities, from husky dog sledding, Volvo off roading, Ice sculpting and the night time skidoo ride in search of the northern lights. Keep scrolling to the pictures. 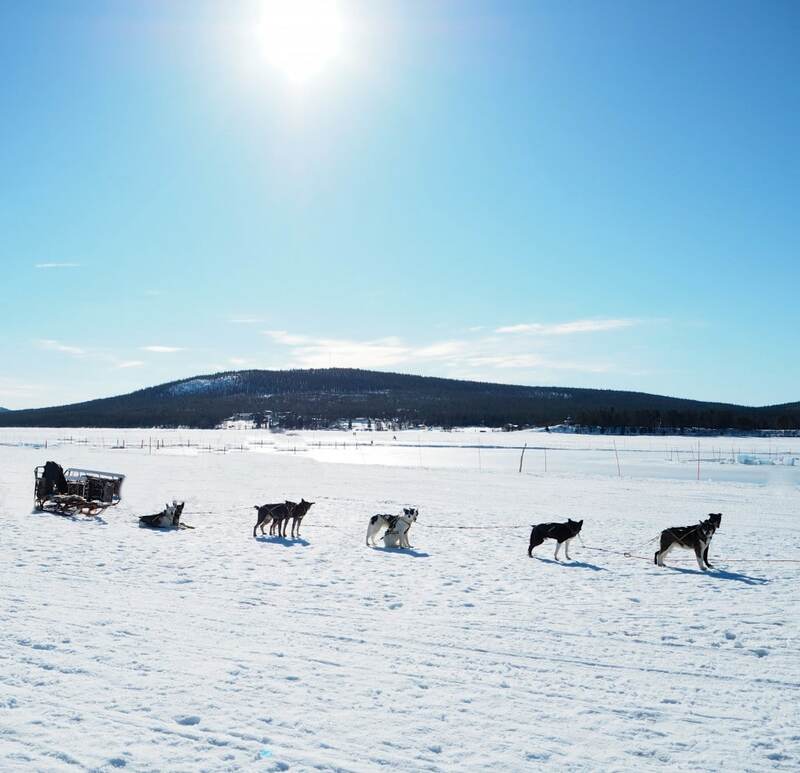 Above: Dog sledding. Style Traveller Tip – borrow the hotels specialist clothing for these trips. Temperatures can plummet to minus 30 degrees and the cold really kicks in. 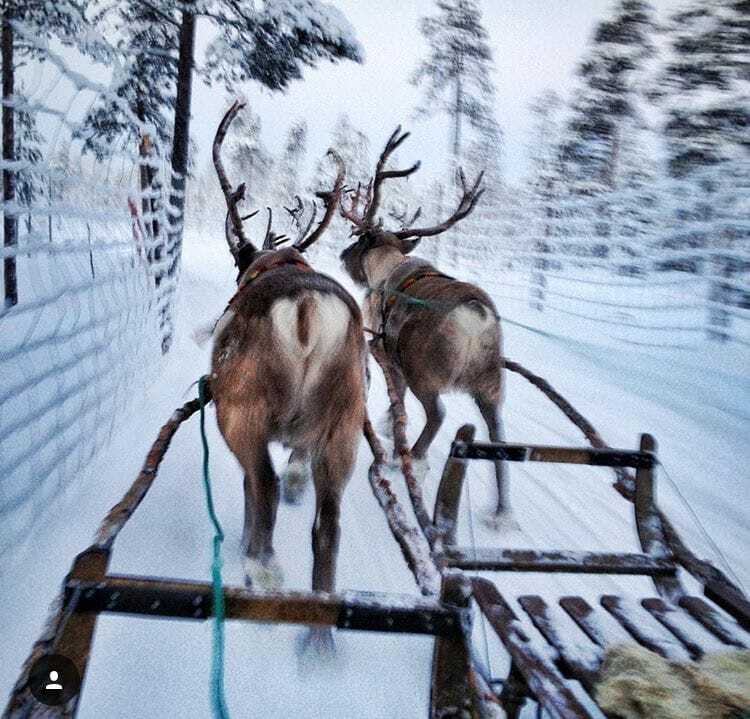 You also get quite mucky riding on the back of a sleigh, it has been known for the dogs to poo mid run! Yes this happens!!! We were lucky to have missed that particular experience! 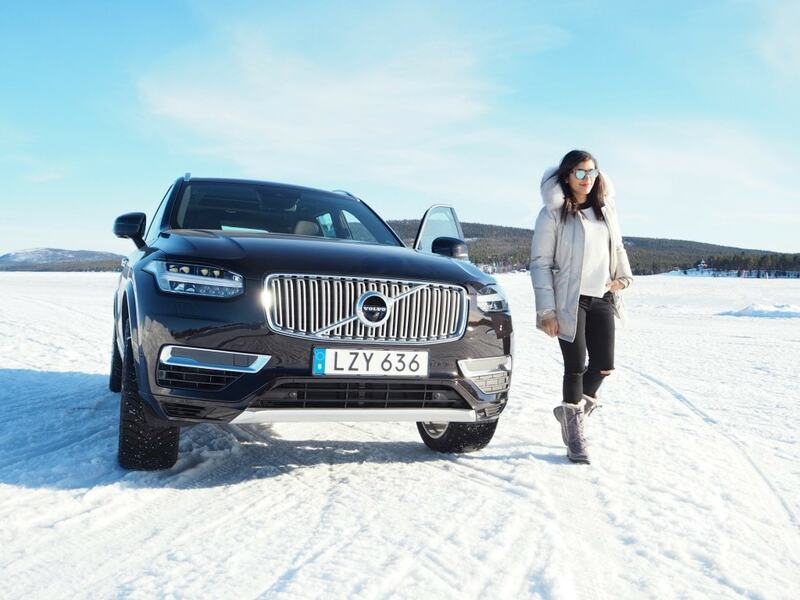 The Volvo XC90 off roading experience. 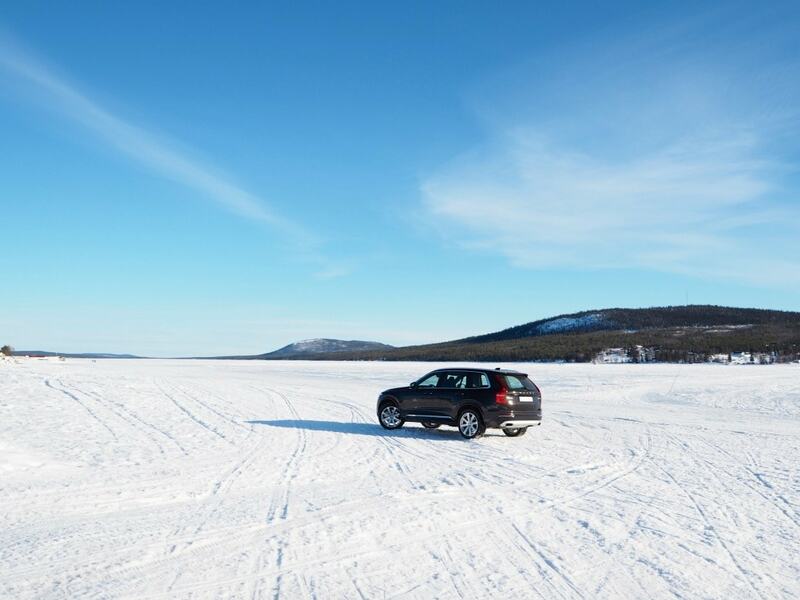 We took the powerful, hybrid car off road for a speedy ride over the snow. Sunglasses on, hip hop tracks on (full blast on the pimped speakers of course) and foot down! So much fun. We had so much fun in the car that even Adrian decided to come out from behind the camera for a little posing shot! Adrian wears Coat by Woolrich, Boots by Sorel. 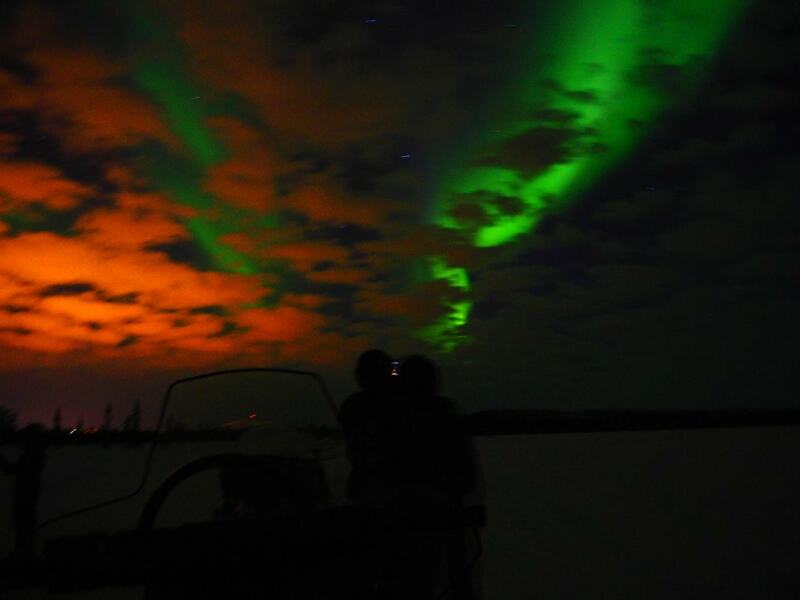 One of the most memorable adventures on the trip was the night time skidoo ride, in search of the Northern Lights. 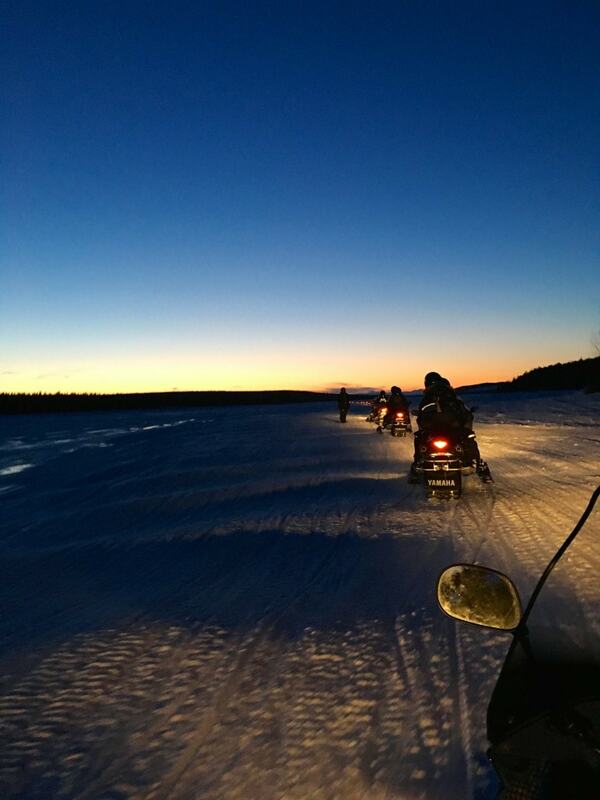 It was an evening drive over the spectacular wilderness in a skidoo cavalcade. We stopped off for a supper of reindeer stew in a quaint log cabin, then were guided out to an open field to see the Northern Lights. We were so lucky to catch them and managed to take some beautiful photos. Thanks Adrian for capturing the moment! Second night was in the comfort and heat of the log cabin warm rooms. Pictured above. Give me wifi and warmth! Above: Bonnie wears Ski salopettes and base layer top by Sweaty Betty, Boots by Sorel. Thanks for a great trip Volvo and good bye from the Ice Hotel. Next stop LA road trip!